Al Ahli Bank of Kuwait (ABK) announced its successful sponsorship of the Green School Program event, a Kuwait Environment Protection Society initiative (KEPS), which was held in celebration of Earth Day on 23 April, 2017 at Al Resalah Bilingual School. The event featured a workshop for special needs students whereby a representative from KEPS spoke to the children about prevailing environmental issues, best practices to help save the earth and engaged them in an open discussion. The event also featured an exhibition, in which the students’ art work was displayed, in addition to a series of other engaging activities for the students. 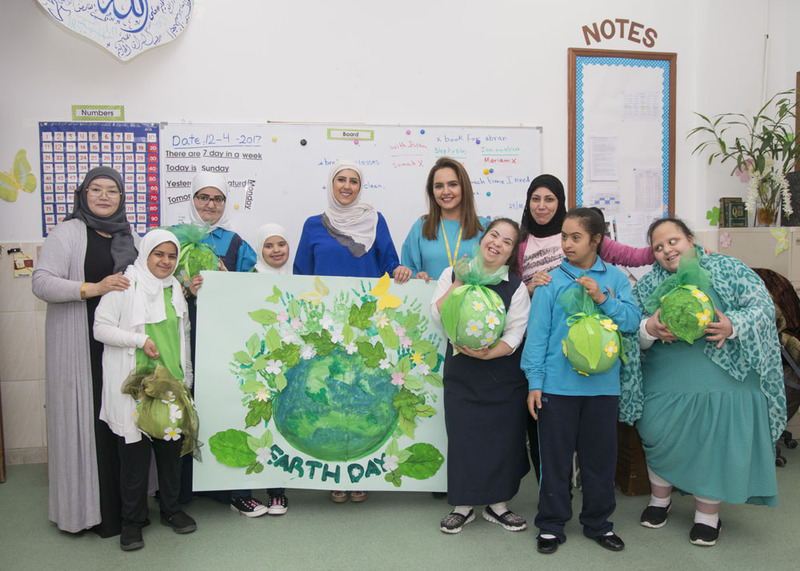 Ms. Sahar Al Therban, Senior Manager - Corporate Communications at ABK attended the event on behalf of the Bank to reinforce the Bank’s support of Earth Day and special needs individuals, in line with the Bank’s CSR focus.